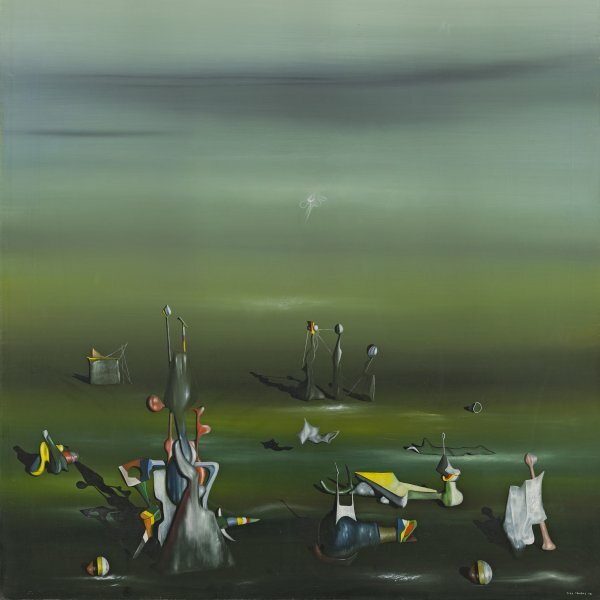 During the last years of Yves Tanguy’s life, his painting became darker and less poetic. 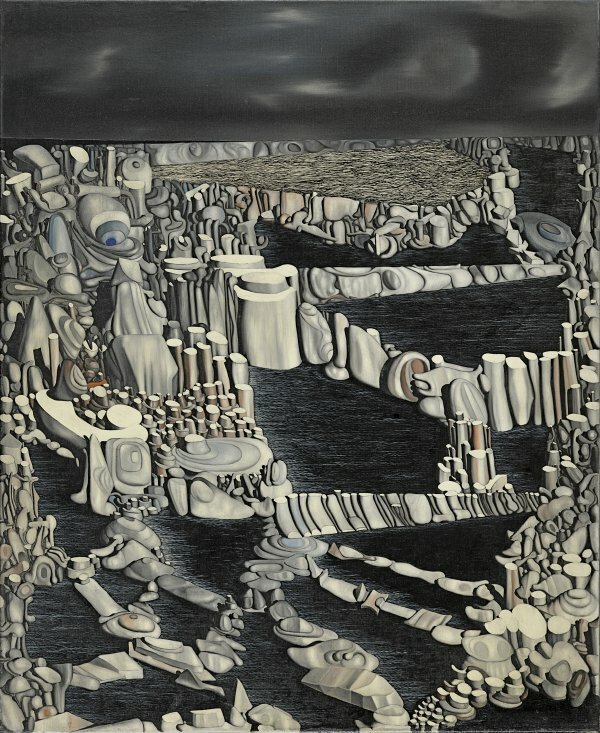 In Imaginary Numbers, considered by some to be his last work, the earlier biomorphic forms become petrified and are no longer isolated, forming compact groups of geological formations. 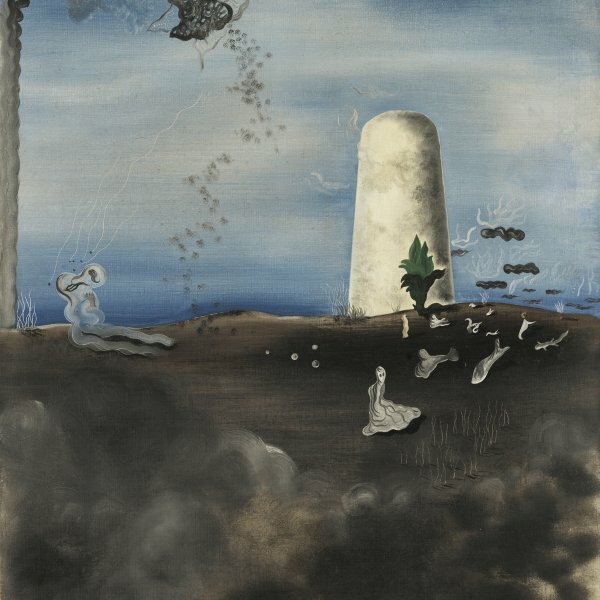 These ambiguous monuments, which some authors link to the sculptures of Henry Moore and Hans Arp, may be interpreted as a premonition of death. 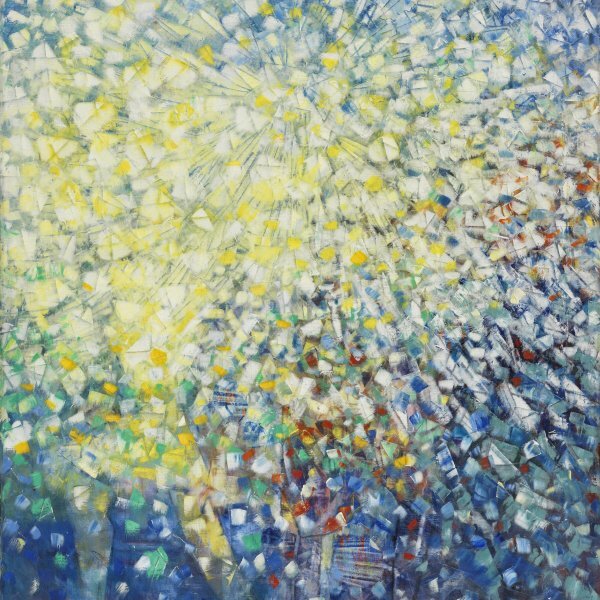 As in Multiplication of Arches, a painting dating from the same year and acquired by The Museum of Modern Art in New York on the occasion of the major exhibition of the painter’s works at Wadsworth Atheneum in Hartford in 1954, the strange and inexorable sea of stones becomes a terrifying labyrinth that defies any hope of escaping. The work belonged to the dealer Pierre Matisse (1900–1989), the son of Henri Matisse, who opened a gallery in New York in 1931, and from 1958 it was owned by the great historian of the modern movement and curator of The Museum of Modern Art, William Rubin (1927–2006), until entering the Thyssen-Bornemisza collection in 1973.